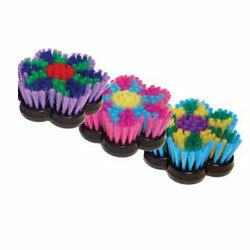 These colorful brushes fit perfectly in the hand and work great! This is the finishing brush. The "dandy" is the dust buster. Highly Recommended. Assorted beautiful colors. Perfectly designed for the hand and the eye! 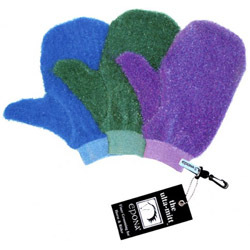 This brush is terrific for equine dust removal. Finish with the "Buddy" brush but start with the "Dandy". Highly recommended! Assorted Colors. Two-in-One grooming tool is great for sweeping away dust and loose hair or for lathering up the coat. It is gentle enough for faces and legs. Dogs and cats will like it too! Assorted Colors. 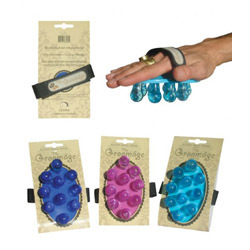 Flexible silicon wobbly knobs enable a deep soothing massage for your equine or larger dog or human friend! The strap is adjustable and will even fit a child's hand. Assorted colors. Just add soap and water. 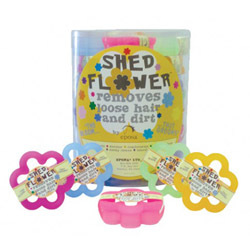 Lathers quickly and cleans deeply. Throw in the washer to clean! Will not mildew. Also good for cleaning algea off fish tanks. Assorted colors. These pins stay in! 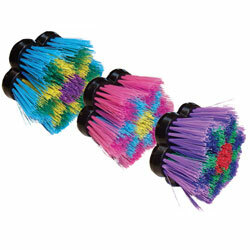 My horses love this brush--it rakes up loose hair and dirt and the large rounded pins stimulate the skin. 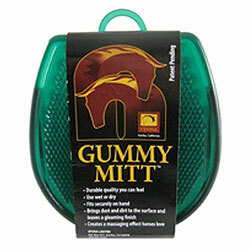 Great for mane and tail too. 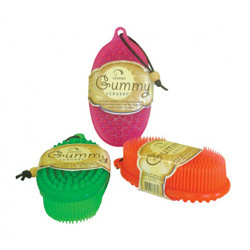 Durable Scrubby pouch holds a thirsty sponge. Assorted colors. 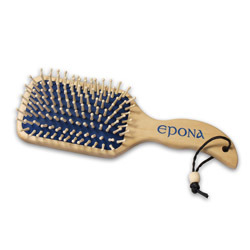 Epona Comb with Microban antibacterial protection. 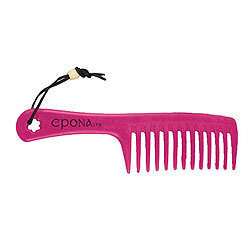 These combs are large, strong, and gently rounded, for detangling manes and tails without pulling out hair. Assorted Colors. On the other, deep nubs polish coats to a gleaming finish as they deliver a soothing massage. Eye candy for you and a luxury massage for your horse or donkey. 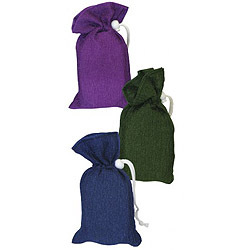 Firm gel-like nubs on rubber cushion in wood base with cotton strap. Fits even a young rider's hand. Assorted colors. "The bloom that grooms". Just like a rusty old curry comb only much prettier! 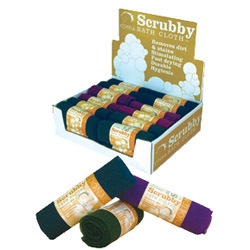 Wonderful for shedding out coats in the spring and for year-round scratches and grooming. Assorted Colors.